Azhin is a lecturer in Law and legal doctoral researcher in Medical Law and Ethics. She is leading and teaching the Terrorism and International Response module; and is a seminar tutor for Law of Torts; Public Law; and Legal & Professional Environment. 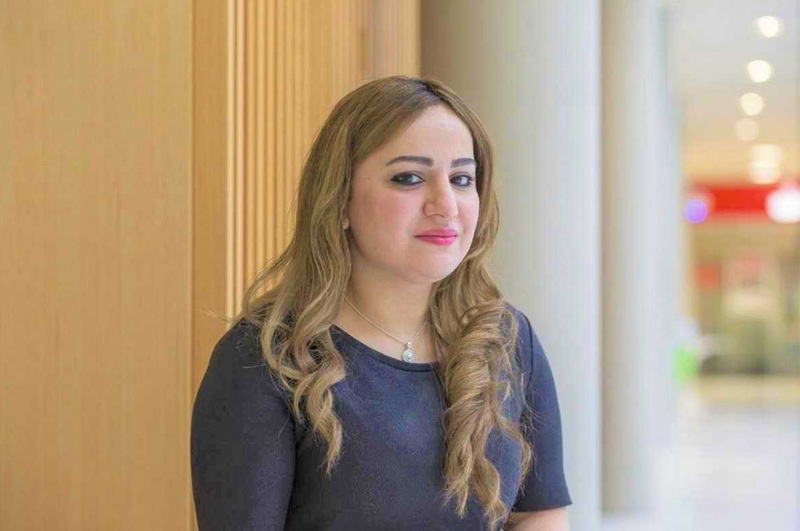 In addition, she is also an LLB International Student Support Tutor; NLS Disability Tutor; member of NEC Panel; and a supervisor for Independent LLB Research Projects. Azhin joined Nottingham Law School in October 2014, and has previously taught undergraduate students as an Hourly Paid lecturer. Azhin was a Doctoral Legal Researcher in Medical Law & Ethics and a Lecturer in Law at University of Lincoln. Azhin is currently working on an external research paper with the academics of Nottingham Law School and Hawler Medical School in Iraq. This paper focuses on the psychological impact on the survivors of the International Crime of genocide and the availability of healthcare resources in KRI. Omer, A. (2016, May). ‘Developing governance to foster healthcare quality in Kurdistan Semi-autonomous region of North-Iraq’ Paper presented at Nottingham Law School Research Conference, Nottingham, United Kingdom. Omer, A. (2015, October). ‘Cross border healthcare, medical errors and liabilities: How effective is the EU Cross Border Directive?’ Paper presented at the European Association of Health Law Conference, Czech Republic. Omer, A. (2014, September). Developing an ideal model of patient safety for Kurdistan region of North Iraq’ Paper presented at East Midlands University Conference, Leister, United Kingdom. Impact of political instabilities on healthcare system in the Middle East.